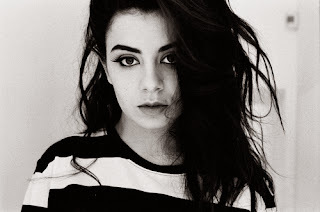 It was unfortunate to hear recently that Charli XCX's forthcoming album had been pushed back to early next year - December for the slightly luckier people Stateside - but perhaps understandable, considering the ongoing success of 'Boom Clap'. The feisty solo artist has followed that anthem with an altogether punkier vibe, in the form of 'London Queen'. Charli has been writing for the likes of Britney Spears, but on 'London Queen', it was former collaborator/debut album producer Justin Raisen who was responsible most of the writing. Particular props then to Mr Raisen for creating a killer track, matched by the pop star's usual sass. Charli's breezy vocals and lyrics (minus a dubious JFK reference) complement the pulsating nature of the instrumentation. New album 'Sucker' can't arrive soon enough. Find more info at charlixcxmusic.com.